Warm up your room with the diffused light of this charming and whimsical table lamp. 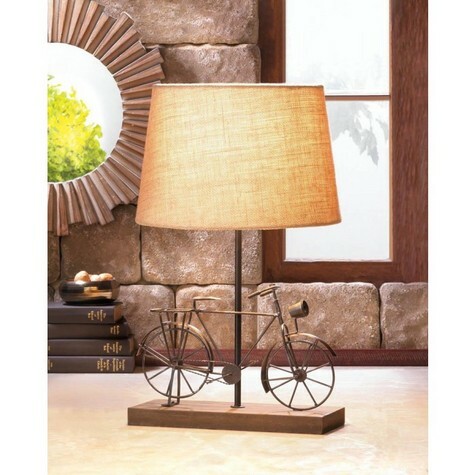 It features a wooden base, a linen lamp shade, and in between is an iron bicycle that will brighten your room with style even when the lamp is switched off. Dimensions 11.5" x 4.75" x 20"